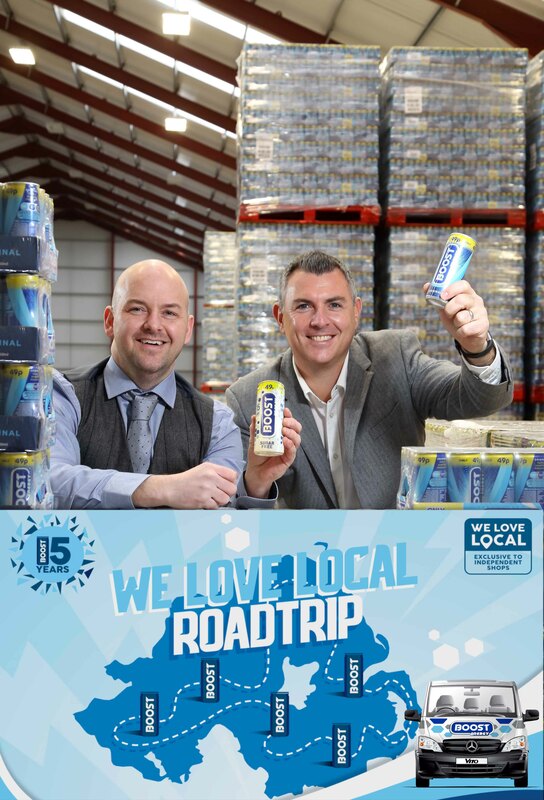 BOOST Energy drink is hitting the road next week to celebrate 15 years in Northern Ireland with local independent retailers. 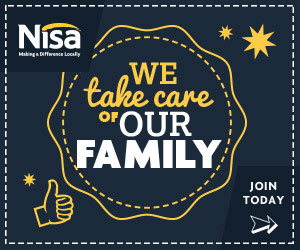 To recognise the huge role that Northern Ireland’s independent retailers have played in this success, Boost founder and managing director Simon Gray and a team of staff will be embarking on a province-wide road trip for two days on November 1- 2 to pay a surprise visit to stores around the province. 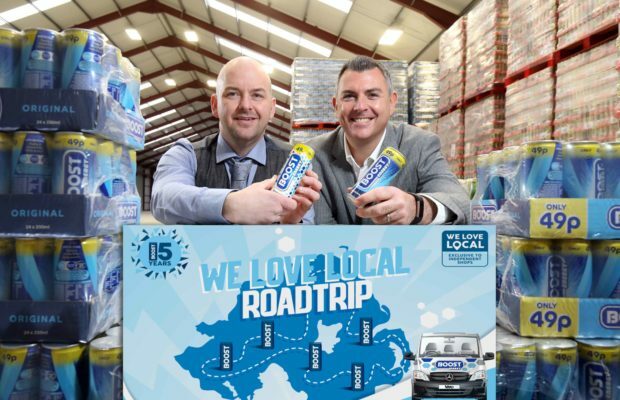 Boost Energy founder and Managing Director Simon Gray (right) and Gareth Hardy of Hardy Sales and Marketing Ltd (HSMNI) are stocking up for a province-wide road trip to celebrate 15 years in Northern Ireland with local retailers. The ‘We Love Local’ Road Trip will take place across Northern Ireland on Thursday November 1 and Friday November 2. Retailers interested in winning some ‘on the spot’ prizes should brush up on their Boost facts by visiting www.boostdrinks.com/trade/.